You can make your home spotless without giving a dime to giant soap companies. It’s reasonable to be anxious about changing the way you clean your home. Cleaning your sink is a chore already — you don’t want to have to waste time scrubbing until your arms give out just because you opted for some environmentally friendly, but totally ineffectual, cleaning products. But at the same time, you don’t want to load your house with chemicals like phosphate, surfactants, and triclosan, which can harm aquatic life after they’re poured down the drain. Fortunately, with a little know-how, you don’t have to compromise. You can get the amazing hospital-clean feel of harsh cleaners while still using eco-friendly ingredients. You have two main options when choosing green cleaning products. You can go the DIY route, using common, completely natural ingredients to create your own cleaning products. Or you can just grab an off-the-shelf green cleaning concoction from the internet or your local specialty store. Here are your best options for both routes. Apple cider vinegar’s natural acidity can clean and disinfect solid surfaces around your house. White vinegar also works just as well, but many people prefer apple cider vinegar because it has a better smell. Just create a solution that’s one half apple cider vinegar and one half water. If you want a citrus scent and more acidic cleaning power, you can also add a few drops of lemon juice. Pour it into a spray bottle and use it to clean countertops, floors, bathrooms, and everything else in your house. Baking soda is abrasive and a natural deodorizer, which makes it a perfect way to get rid of stubborn stains and freshen just about anything in your home. Here are a few ways you can use it to make your home cleaner. 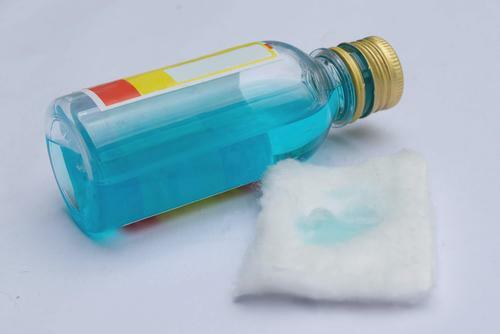 Rubbing alcohol, which is commonly used a first aid disinfectant, is also a powerful, green cleaning agent. The kind you find at your local pharmacy is usually 70% isopropyl alcohol or ethanol and 30% distilled water. Rubbing alcohol is most effective at cleaning shiny, smooth surfaces. It can make your stainless steel appliances look like they were installed yesterday. It can clean and disinfect your kitchen and bathroom sinks. Since it dries quickly, it’s also a way to clean electronics like your mouse and keyboard without risking water damage. Ammonia is one of the most effective natural degreasers, so you can use it anywhere you want to remove grease and grime. If it’s been quite a while since you’ve last cleaned out the oven, a solution of ammonia and water can make it easier to remove baked-in grease. It’s also an effective way to clean out grout. Warning: only use ammonia in a well-ventilated area. If the ammonia gas concentrations get too high, they might cause light headedness and even unconsciousness in rare cases. Of course, it’s understandable if you would prefer to simply buy ready-made cleaning products rather than concoct your own. But buying eco-friendly products can be risky because many brands use greenwashing tactics to make it appear like their cleaners are greener than they actually are. If you want to avoid phoney green products, and get your house clean at the same time, choose of these cleaners. 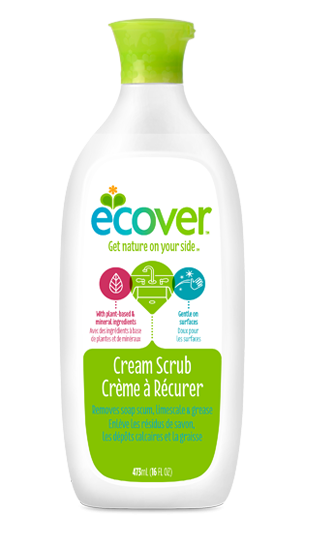 If you want to remove soap scum, limescale, and grease from wherever they may stain your home, consider the Ecover Cream Scrub. It’s an abrasive cleanser made with renewable plant-based and mineral ingredients such as sugar and vegetable oil. 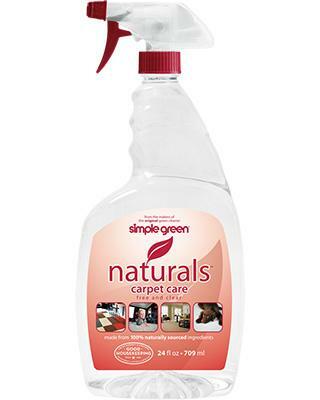 Simple Green, one of the most popular green cleaning products around, makes a fantastic carpet care spray. The ingredients are remarkably simple: mostly hydroperoxide, sugar, and palm kernel. But that’s enough to remove food stains, dirt stains, and whatever else is keeping your carpet from looking its best. Ready to tackle the bathroom? 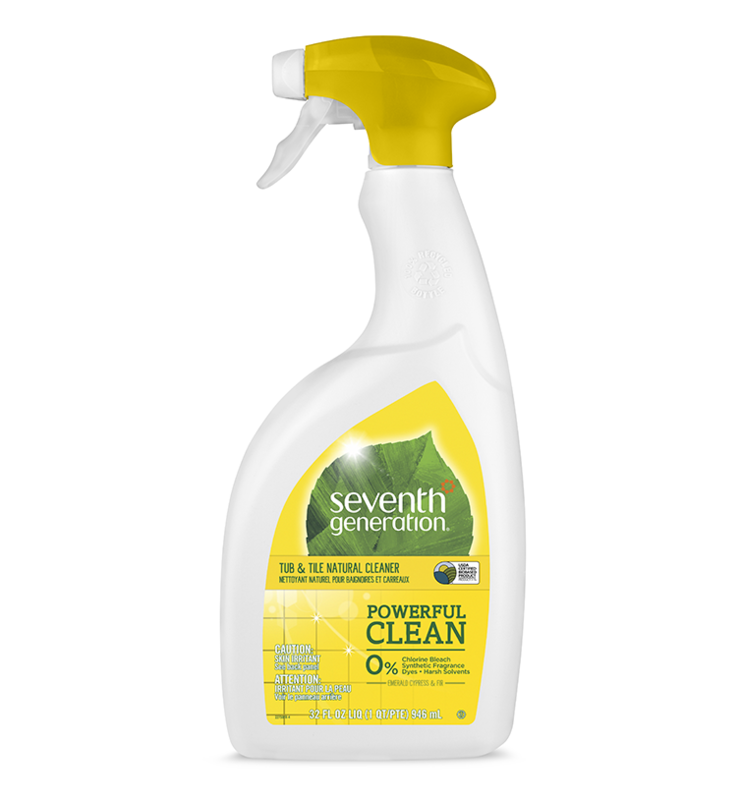 The Seventh Generation Tub and Tile Cleaner can help make your toilet, sinks, shower, and grout clean again. The ingredients are all-natural, too, using citric acid and other plant based cleaning agents to make your bathroom spotless. Bonus: Seventh Generation is so popular that you probably can even find it in the cleaning aisle of your local supermarket. 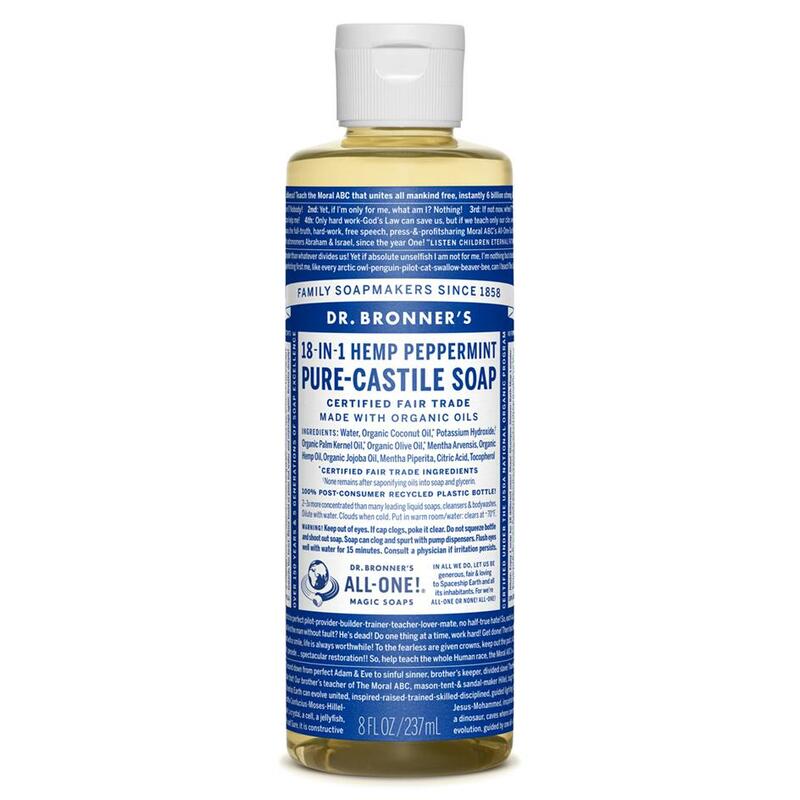 Dr. Bronner’s soap was famously created by Emanuel Bronner in order to promote his ideas about humanity. That’s why the entire bottle is covered with his writings. But regardless of how you feel about his moral philosophy, you can’t deny the soap is effective and green. It’s versatile, too. While it’s most commonly used as a body soap and shampoo, it also works well as an all-purpose cleaner. Just create a solution of one part soap to 40 parts water, grab a sponge, and get scrubbing. Looking for a green way to clean your dishes? 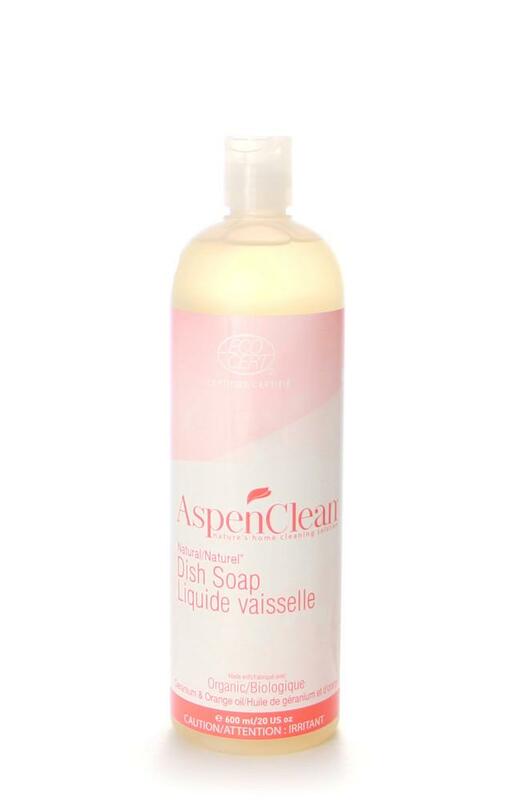 AspenClean Dish Soap can make your dishes sparkle without sending harmful chemicals down your sink. The soap uses cleaning agents derived from natural sources like coconut, palm oil, and oranges. Attitude also makes fantastic eco-friendly soap. 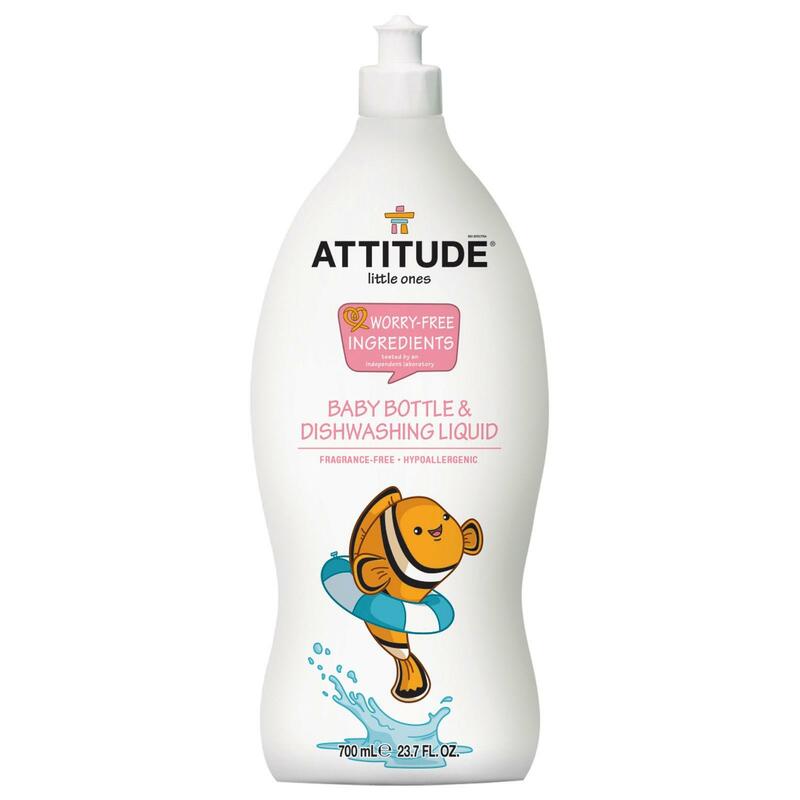 The Attitude Dishwashing and Baby Bottle Liquid is specially formulated to be safe when used on items for babies. It’s hypoallergenic and fragrance-free, which is perfect for little ones with sensitive skin. Is it possible to make your laundry clean without buying a jug of Tide? 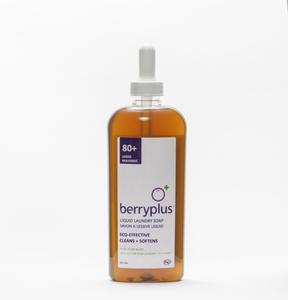 The BerryPlus Liquid Laundry Soap can freshen your clothes without pouring that chemically enhanced blue liquid into your washing machine. The main ingredient is concentrated saponin, which is derived from the Sapindus mukorossi tree. It’s free of allergens, irritants, and fragrance, so it’s also a good choice if you or someone in your family has skin sensitivities. "Common soaps contain phosphate, surfactants, and triclosan, which can harm aquatic life after they’re poured down the drain."